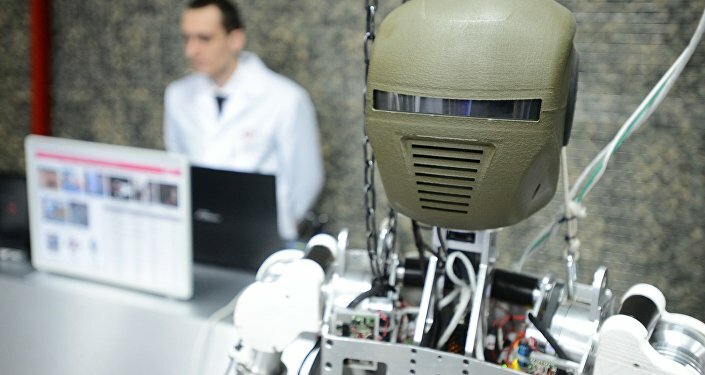 Russia is taking the plunge in inventing combat robots. An army of mind-controlled machines, devoid of fear, will be integrated into a unified man-robot command interface to effectively perform tasks in adverse conditions and prevent human losses on the battlefield, the RG newspaper reported. The Russian Defense Ministry is now putting the finishing touches to the Uran robotic systems. The Uran-6, a multipurpose demining robot equipped with bulldozer blades and trawls, can find and destroy mines stuffed with up to 60 kg of TNT. It can substitute a bomb squad of 20 and is controlled from a distance of 1 kilometer. The vehicle has approved itself in Palmyra, where Russian specialists defused some 19,000 explosives planted by Daesh. 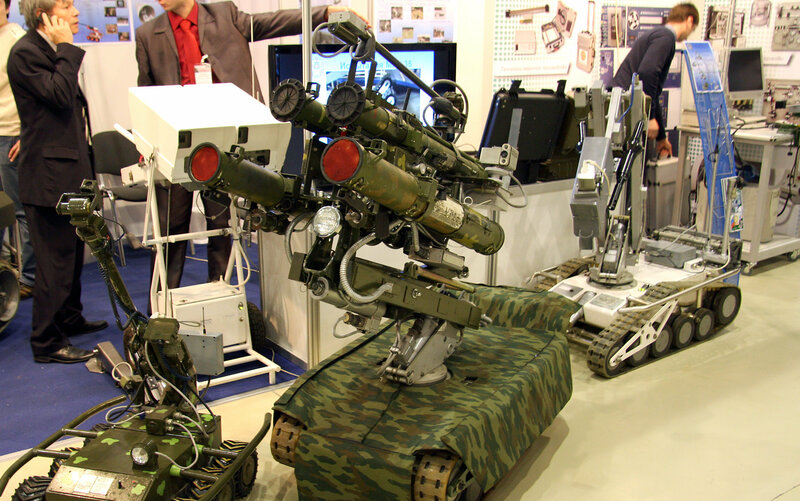 Its “companion” is the track-based Uran-14 which is an obstacle-breeching and fire-fighting robot. 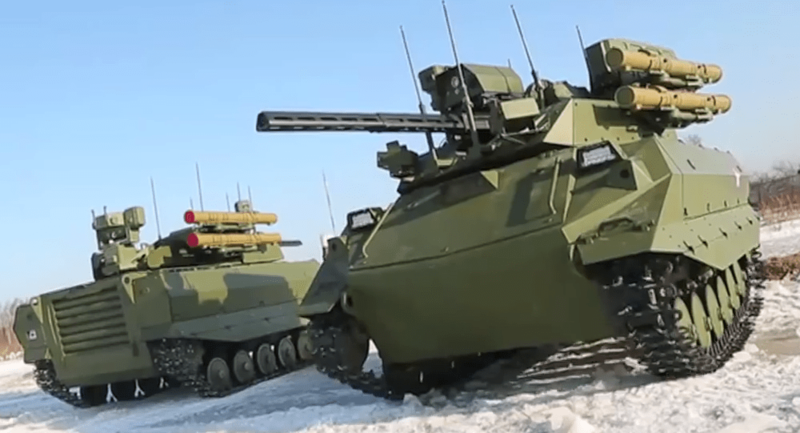 As for “heavyweights,” Russian engineers have crafted the one-of-a-kind Uran-9 robotic tank armed with a machine gun, a 30mm cannon that fires 350 to 400 rounds per minute, a coaxial 7.62mm machine gun and a battery of the Ataka supersonic guided missiles. It is equipped with threat detection capabilities, including a laser warning system, as well as target detection, identification and tracking gear. Then comes the armored Nerechta platform which can serve as a basis for 18 replaceable modules. Depending on the combination, the robot can pull wounded soldiers from the battle field, deliver ammunition or wage combat. In this video you can see effective teamwork between three vehicles: a helicopter (not captured) provides reconnaissance for a Nerechta-based robotic command center which in its turn controls the “fighter” robot. The Nerechta is powered by a diesel-electric motor. During reconnaissance missions the diesel segment switches off and the robot crawls silently consuming the energy accumulated in its batteries. The Platforma-M is a vehicle for reconnaissance, combat and mining-demining operations, delivering loads and acting as a loudspeaker device. The Strelok is a remotely controlled robot with a machinegun. Another iron warrior is the MRK-27 — BT storm robot carrying a scary load of armaments: two Schmel (Bumblebee) flamethrowers, a machinegun, two grenade launchers and six smoke grenades. The vehicle is remotely operated from a distance of 200-500 meters. A robotic version of the Armata tank is also projected. As for aerial vehicles, Russia has recently flied out a new surveillance drone named Frigate, which is meant for surveillance, search and rescue operations in the Arctic, and started using the Orion reconnaissance UAV. The latter can carry a pay load of up to 660 pounds and travel for at least 24 hours. Russian military specialists envisage the future combat to be underpinned by the close cooperation between humans and robots. If a soldier sees a target which he cannot eliminate himself, he pushes a button calling for a robot to attack immediately.The principle is, a command center continuously gathers and processes data flowing from both the manpower and robots and derives an optimal action. In October, Russia introduced the “Unicum” software which endows up to 10 machines with an autonomous ability of self-organization: robots will be able to appropriate duties, select a leader, substitute damaged units, come into advantageous positions, search for targets and strike them in an automatic mode. Moreover, the Russian Foundation for Advanced Research reported about developing a neuro-interface for controlling vehicles (a quadrocopter, for example) using brain impulses. The Russian Navy is also working hard on the robotic technologies. It will showcase its achievements during the Army-2016 military forum due to take place near Moscow in early September.